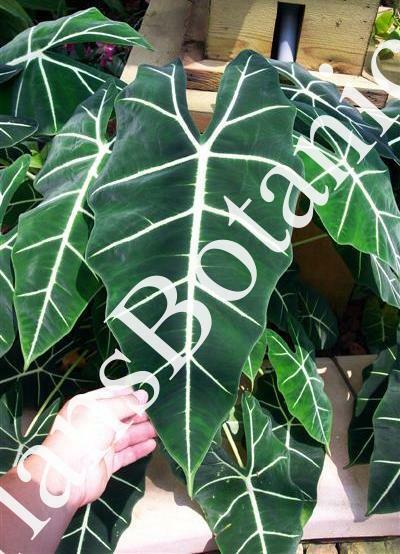 Alocasia micholitziana “Frydek” is a very unique species with dark green velvet foliage that and bright white veins. Growing 1 to 2 feet tall foliage is usually 1 foot longer or more. A great species for indoors or for out side in containers for summer. The flowers also have an amazing fruit like smell when in flower. Plants are potted in 4 1/2 inch pots.